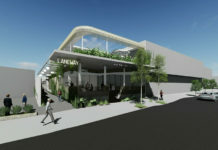 A prime waterfront Bulimba site has received DA approval for a luxury residential development. 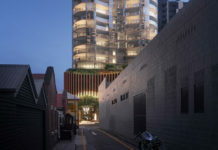 Conceived by ML Design, the 4,472 sqm site will accommodate four buildings, with two x three storey buildings lining Byron Street and two x four storey buildings addressing the Brisbane River. Collectively, the buildings will provide 41 premium apartments, including 17 x two bedroom units and 24 x three bedroom units; with all the three bedroom units benefiting from absolute river frontage. Spacious apartments feature overtones of ‘tin and timber’ which accompany a chic architectural statement in modern, inner-city apartment living. 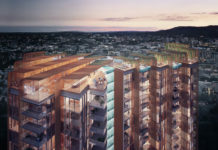 The apartments will spill out onto an immaculate, landscaped area with alfresco dining areas and a pool. A generous public space provision has been made at the river alignment of the property, consistent with the local plan’s intent to furnish public access along the riverfront. 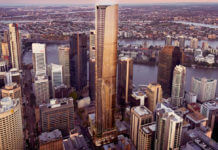 The property is currently being offered for sale by CBRE’s Mike Walsh and Peter Court. “This is blue chip real estate. 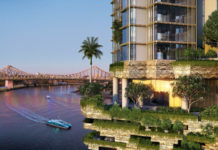 Bulimba is one of Brisbane’s most affluent suburbs and we have no doubt that an absolute riverfront, luxury development with a perfect northern aspect will attract strong interest from locals and high net worths looking to secure a piece of the Bulimba lifestyle”, he said. Click here to download PDF plan.